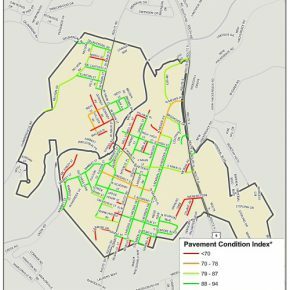 Village of Wappingers Falls Pavement Condition Index Map. Click to view full size. 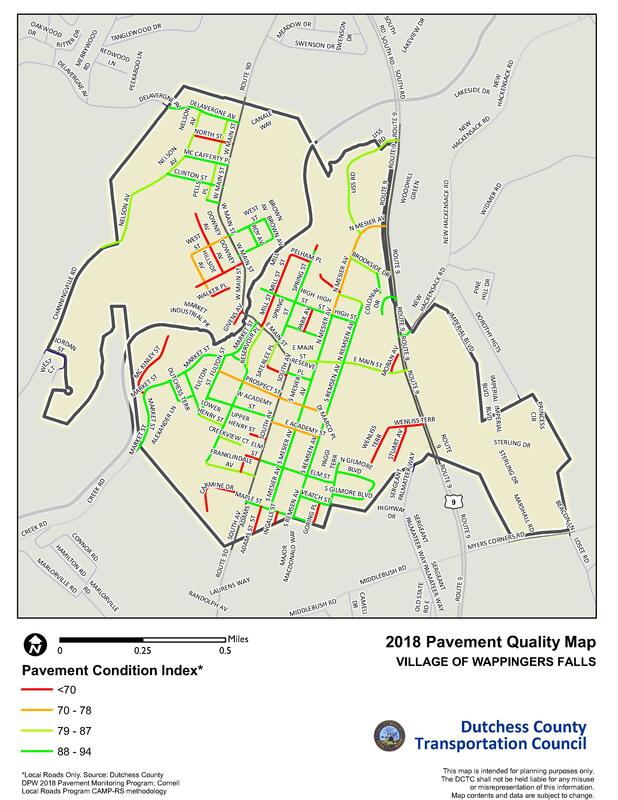 As part of my internship at the Dutchess County Transportation Council (DCTC), my project was to map road quality data from past internships completed by students from Cornell University. When I first started, there was no process in place to map this data in ArcMap, and it needed to be changed in order to be compatible. My main obstacles were that the data was not recorded in a way that was compatible with GIS, and that the roads in the Cornell data and the ArcMap data were not divided in the same way. I learned a lot about formatting data that was not made with ArcMap in mind. I also figured out how to link the divided streets in the Cornell data with sections of streets already mapped in ArcMap. 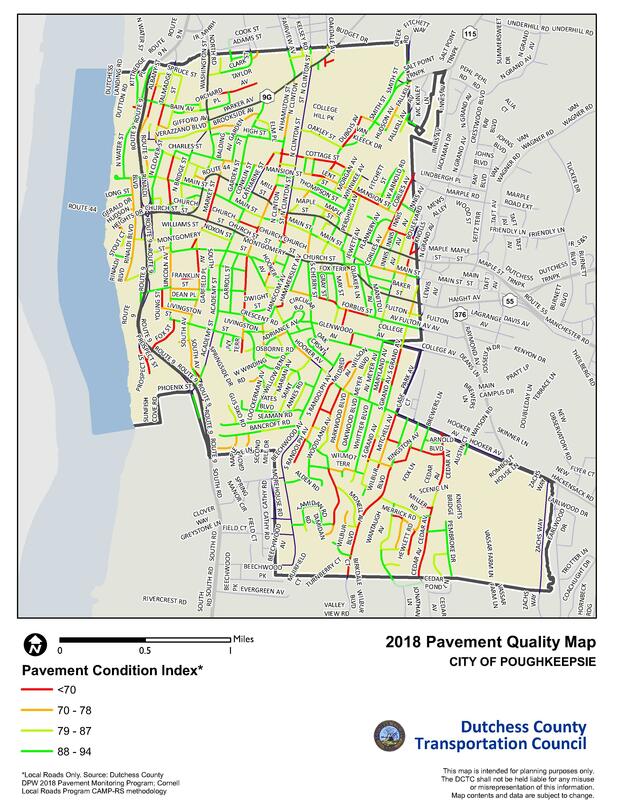 My experimentations led to a process which is now being used to finish making pavement quality maps for local governments. Maps have been completed for Beacon and Poughkeepsie, which have bigger populations and therefore more roads than most of the other municipalities. I also made maps for the Village of Fishkill, the Town of Fishkill, and Wappingers Falls. Maps allow for easy and intuitive visual comparison, which will enable local governments to make informed decisions about which road repairs to prioritize. GIS and geospatial mapping are important tools for geographers and any student or researcher examining the location and distribution of people or resources. GIS enables us to examine patterns and processes in just about any field of study in which location is important. The purpose of this site is to share GIS knowledge, tools, and data gained from the experience of instructors, students, and other professionals in the field with the Vassar community and beyond.